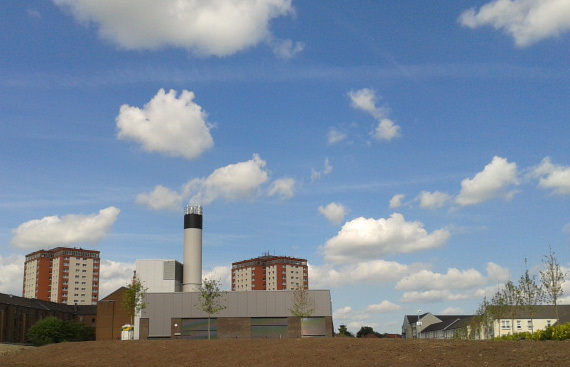 The Commonwealth Games Athletes’ Village comprises 700 new homes joined to a local district heating system, housed in a purpose built new Energy Centre. The village will, post-Games, become an eco-friendly community with both private and social housing residents in a family and pedestrian-friendly environment. The Village will have state-of-the-art ICT providing a model for other developments to follow. Political leadership with a long term approach - The project is a central element of Glasgow’s political commitment to a 30% carbon reduction target by 2020 from 2006 levels, as set out in the Sustainable Glasgow report (the city’s Sustainable Energy Action Plan, or SEAP) in 2010. Collaboration and dialogue with all stakeholders - This project features strong integration between the private and public sectors. By working together, the stakeholders have transformed a brownfield, derelict site into an attractive urban environment. Business models to attract investment - model used is a partnership between public and private sectors, split into pre-Games, during the Games and post-Games structures. Overall, the financing of the project is split on an 80/20 basis between the Scottish Government and Glasgow City Council. To read a full report on Athletes' Village and why it is a good example of a Lighthouse initiative click here. More information on the 2014 Commonwealth Games Athletes' Village is available here.